The following is a guest post by my dear friend, Diana Strinati Baur, who has learned the ins and outs of resilience and change the hard way so you don’t have to — she’ll teach you in her new course, Resilience: Mastering the Art of Moving On. For the last twenty-one years of my life, I’ve been an ex-patriate living outside of my native America. The other evening I realized that if I had had a child the year I arrived in Europe, he or she would be able to drink alcohol legally in the States now — a realization that floored me as it means an entire generational life cycle has passed since I moved to this side of the pond. Ten years in Germany and eleven years in Italy have bounced me around quite a bit in a spiritual sense. We’ve lived drastically different lifestyles in these two countries, and those lifestyles differed drastically again with how we lived previously to arriving. It’s like continuous change was written in my destiny card, and at some point, embracing it became the only way to survive it. It is a privileged life that I have. I experience things that very few people get to glimpse. In being forced to adjust, I’ve tested many of the limits I thought I had, realizing those limits were only perceptions. I’ve thrown myself into new situations, new cultures, new languages, and new jobs. I have seen how fear can bend a person and throw a person into a psychological tailspin from which recovery seems like a distant dream. I’ve worked hard at understanding psychology behind change and trauma. Since 2005, I’ve been blogging, writing, and eventually coaching around the subject of change. 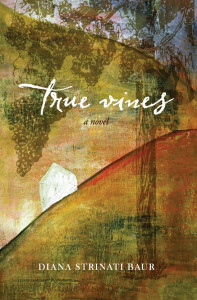 My novel, True Vines, grapples with some of the fundamental questions about how we react to traumatic life events. In my nine years as an innkeeper in the northern Italian country side, the most interesting conversations with guests always centered around making changes in life and how difficult it was. When you’re an expat as long as I have been, even the things that are supposed to be familiar from your home country start to feel foreign and you start to question whether anything will really truly feel familiar again. When I moved back from Italy to Germany last year, I realized, once again, what rootlessness feels like. It doesn’t get easier as one gets older, that is for sure. With this last move, however, a penny dropped. I’m older. I don’t want to lose the time feeling lost as I have in the past. After arriving in Germany, I started doing research on resilience and what makes some people able to adjust to change and trauma and what makes others feel drained and exhausted by the thought of it. Through reading and talking to resilient people, I put together a course that gathers this material together. The name of the course is Resilience: Mastering the Art of Moving On. It starts on April 27th, and you can enroll here. It is essentially a self-study course that comprises four weeks of material, divided into four modules. The first is an overview of the brain and some of the physical responses we have to change and trauma. Module two deals with the psychological aspects of resilience. Module three delves into the spiritual and creative sides of resilience, and the final module gathers around the concepts of trust, forgiveness, and inner strength. Resilience is such a critical part of living for everyone. Its mastery can help us lead a well-lived and self-determined life — which is essentially why we are here. 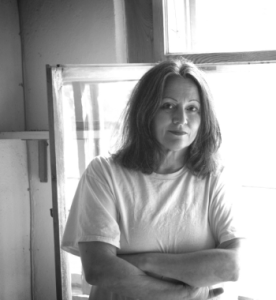 Diana Strinati Baur is an artist, teacher, author and coach who divides her time between the Black Forest of Germany and the Piemontese wine country of Italy. You can find her work at dianabaurcreations.com. Enroll in Diana’s Resilience course now! Only 12 or so years ago I wrote my thesis on a similar theme: the search for a resilient self in what I then called an ambivalent world. Thanks for sharing this post, it resonates on many levels. What a beautiful way to transform your experiences and journey to help others! Thank you, my dear friend, for sharing the news of the course and for being such an important part of my life for so many years. Resilience is certainly a theme that resonates with many people – especially today, when situation and circumstance change at neck breaking speed. I really see resilience skills as survival skills.